More Great News For The Space Coast!!! The Space Coast continues to grow! Last month we told you about the latest newcomer to the Space Coast, Texas-based Firefly Aerospace. This month's Space Coast news includes an impressive 90-acre expansion by Blue Origin. It was just over one year ago that Blue Origin opened its $205 million, 750,000-square-foot rocket manufacturing facility in Merritt Island at Exploration Park. Blue Origin's expansion will include 90 acres of development at Kennedy Space Center, created to support their commercial space vehicles that are expected to launch sometime in the 2020s. Blue Origin and Firefly Aerospace aren't the only companies moving to and expanding on the Space Coast. Hawthorne, CA-based SpaceX will build its nearly 400-foot tall Starship and Super Heavy rocket at Kennedy Space Center and last year they reported plans for a 67-acre expansion. 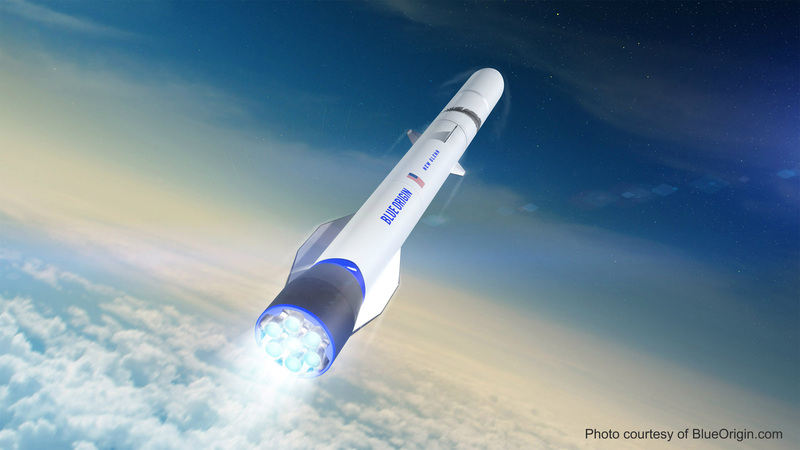 Additionally, NASA filed plans to build Launch Complex 48 to host small rockets and possibly Boeing's 100-foot tall XS-1 Spaceplane.